Today marks the silver anniversary of the internet and 25-years ago, the first dotcom name was registered. SEO copywriter Tom Mason celebrates this auspicious event with the top 25 facts you may not know about the online world. The first dotcom name was registered in Massachusetts by Symbolics, a computer firm. By the end of 1985, only six dotcom domains existed. The first adopters of the dotcom were Xerox, Hewlett Packard and the Stanford Research Institute. Dotcom domains were originally administered by the United States Department of Defence. Apple registered the 64th domain in February 1987. Microsoft registered its dotcom address in 1991. Annual fees for the renewal of domains were introduced in 1995. Renewal originally cost $50 (£34) per year. $15 (£10) of the fee went directly to the US government. Between 1985 and 2000, 21 million dotcom names were registered. The one millionth dotcom domain was registered in 1997. 668,000 dotcom sites are brought every month. 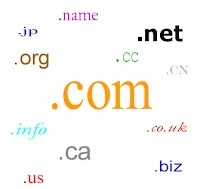 Over the last decade, over 57 million domains have been purchased. 11.9 million dotcom domains are related to ecommerce. There are 4.3 million dotcoms revolving around entertainment. The annual economy of the commercial internet is around $1.5 trillion (£989bn). This is more than the worldwide sales of medicine and research into renewable energy combined. The most expensive domain went for a measly $16 million (£9.2m). Insure.com holds the auspicious award. Canadian company VeriSign is now responsible for managing the dotcom domain. It's predicted the internet will add $3.8 trillion (£2.5t) to the global economy in 2020. This is more than the gross domestic product of Germany. Dotcom is just one of the 21 generic top-level domains. Larry Page and Sergey Brin, the founders of Google.com are each worth £17.5 billion. Symbolics, the first company to register a dotcom address, went into administration in 2005.